“President Obama’s administration has sided with American steel producers in an international trade dispute, ruling imported steel reinforcing bar from Mexico and Turkey unfairly undercuts U.S. prices. Monday’s preliminary decision by the U.S. Department of Commerce means companies in Mexico and Turkey will be subject to immediate duties. A final determination won’t be made until summer. But within a week the U.S. government will stop distribution at the nation’s borders until a cash bond or deposit is posted. Steel reinforcing bar is known as steel rebar and is used to reinforce concrete. Steel producers in Mexico and Turkey have denied they’re violating trade laws. “U.S. Trade Representative Michael Froman announced that the United States is requesting that China enter into consultations regarding China’s claim that it has brought its duties on U.S. exports of grain oriented flat-rolled electrical steel (GOES) into compliance with WTO rules. So where does this leave Americans interested or connected in some way to the steel industry? Will you be affected? Have you been affected by the US steel industry trade dispute? (copyright content property of rightful owner(s). The writers of this blog do not claim content or property rights. Content credit provided. One of the more special items we offer is steel barns; pictured here is the inside of a 42’x35′ steel barn. 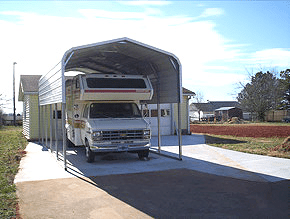 Steel barns are available in 12 gauge or 14 gauge steel framing with 29 gauge steel panels on the roof and sides. Where required, we provide engineered drawings with wind or snow load certifications. 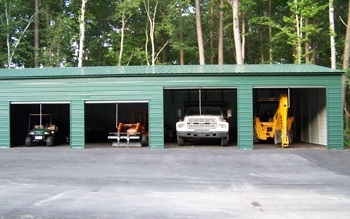 Steel barns are unique structures due to their design, structure and their storage capacity. Barns have been used for decades as a favorite for housing and protecting animals and convenient storage and accessibility. Barns accommodate livestock and feed as well as hay and supplies for many types of animals like horses, cattle, goats, sheep, pigs or even llamas and ostriches. 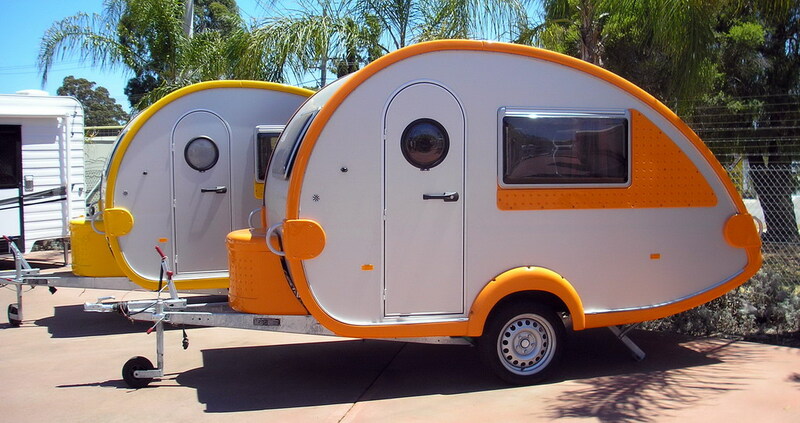 Ranchers and farmers like to use barns for the storage of trailers, tractors, trucks, mowers, tillers, even boats and recreational vehicles. Many people have found steel barns to be quite effective for use in the livestock industry or for multiple uses and have been satisfied with years of use from their steel barns. In order to see more about how barns look as they are being built, view this page to see a 42’x35’ metal barn being constructed. View this page to see the construction of a 42’x40’ steel barn. These pages will allow you to see pictures of the inside and outside of steel barns as the structures are erected. Have questions? Need a price quote? Pictured below, these structures are sometimes referred to as pole barns; a pole barn, lean-to or a loafing shed. 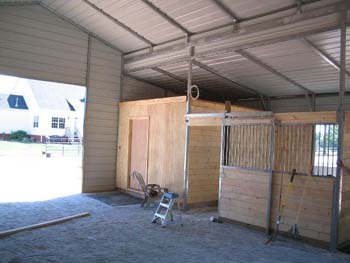 For instance, horses can be kept separated individually or mares with foals in this structure. 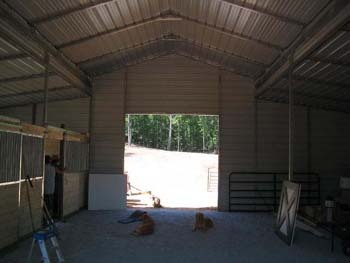 A pole barn is a simple structure that can be used part of the year, if animals are moved to certain pastures, or all year long, whatever suits your needs. A customer called in to finish paying her balance by credit card. She wanted to also say how she felt about the installation. She spoke with GPB, Inc. about how very happy she and her husband were with the installation. At the time she called in, Friday 7.9.10, the crew was there and were almost finished installing. Our customer was gushing with thankfulness. She said the carport looks great, what an excellent job was done, and she was so happy because the carport was installed promptly. The customers even gave a $60 tip to the crew for carrying materials to the back of the property, as there was no room for the delivery truck to pull in as it normally would have done for the customers. All around, this was a very successful transaction and we are quite happy when things work out so nicely for our customers, crew and all involved. Thanks to GPB, Inc. and everyone.